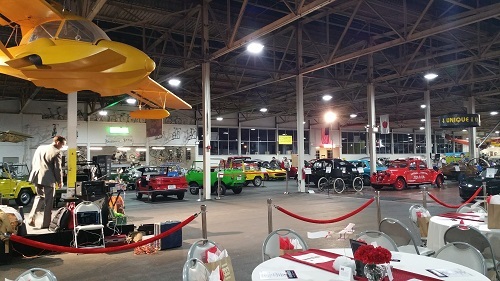 Lane Motor Museum is the perfect setting for your corporate event or special occasion. Located in the former Sunbeam Bakery, the building, circa 1950, has high ceilings, natural light, and hand-crafted brick and maple flooring. 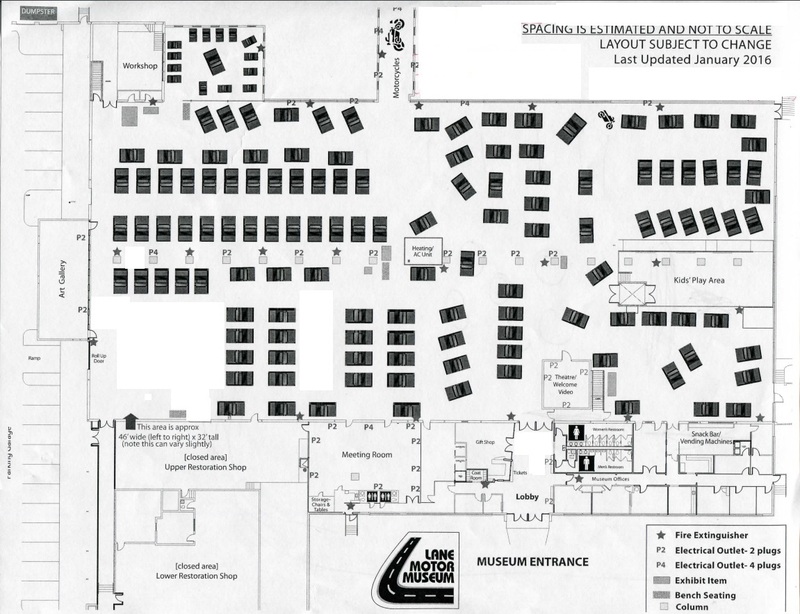 The main exhibit area is approximately 40,000 square feet where we exhibit over 150 vehicles at a time. We will work with you to customize a plan for your event, surrounded by the currently exhibited vehicles. Evenings, 5:30-11:30 pm with clean up by midnight. Daytime hours are sometimes available on Tuesdays and Wednesdays when the museum is closed to the public. A full museum rental starts at $3,500 for 6 hours. A 10% discount is given to for 501(c)3 non-profit organizations. Documentation is required. The main floor can host up to 350 people for a seated dinner and up to 1,000 for a standing reception. Some events may require collection items to be moved off the floor. We will move up to 3 vehicles free of charge, each additional move will incur a $50 relocation fee. *Smaller events (groups of 60 or less) can be accommodated by using our meeting room. Reservations are accepted up to one year in advance of the rental date. To secure your reservation, a completed application and $500 security deposit are required.